Minnesotans have the ability, the opportunity and the responsibility to tell our legislators and our governor to support jobs and businesses that are compatible with our waters. ELY — In October of 2010 sulfide-metal (sulfide) mining was in the news with the discovery of toxic drainage at a supposedly remediated 1974 International Nickel Co. (INCO) bulk sample site off the Spruce Road — and for ongoing concerns stemming from a legacy of heavy-metal contamination at the nearby Dunka mine. 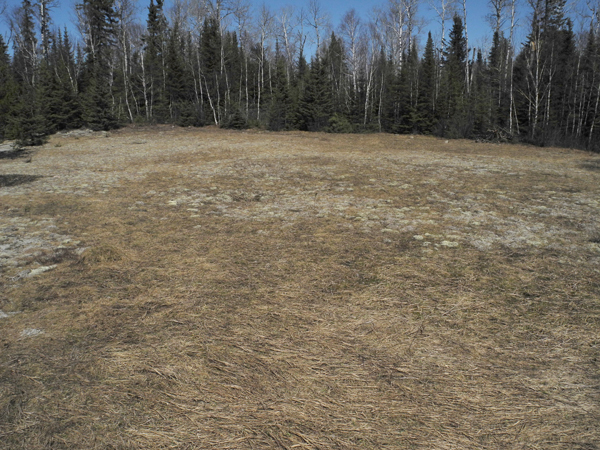 Both sites are near Ely and even closer to the Boundary Waters Canoe Area Wilderness (BWCAW). The Friends of the Boundary Waters tested the unmonitored INCO site and found toxic levels of heavy metals, including nickel and arsenic, far above state standards. If one 10,000-ton bulk sample at the INCO site leaches toxic levels for 30-plus years, what would the legacy be of the 40,000 tons a day that Duluth Metals is proposing to mine? Here is what the area looks like now 30 years later. David Oliver of Duluth Metals has long claimed that any waste rock from a Duluth Metals sulfide mine, the Nokomis Project, proposed for the same area as the INCO site “is deemed below any threshold that would generate acid drainage. It just doesn’t have enough sulfur to do it” [Minnesota Public Radio News, June 23, 2010]. First, Oliver cannot predict the amount of sulfur in such highly disseminated ore as the Duluth Complex, and more importantly, toxic metal release from sulfide mining waste is not dependent on acid drainage — it occurs with or without it. Sulfide mining proponents blithely recite limestone treatment as the answer, never saying that even if they successfully control copper they will still be unable to meet state standards for nickel, which is not adequately controlled by limestone — as demonstrated at the LTV Dunka pit. Nor do they say that Duluth Complex material also contains arsenic that releases at higher pH levels — so the more limestone is used in an attempt to control copper by raising the pH, the more arsenic would be released to our waters. Today, no technology exists that will in reality protect our waters from sulfide mining. Controlled experiments with minuscule test piles or within laboratory environments do not constitute the reality of Minnesota’s labyrinth of water impacted by millions of tons of mining waste — or the reality of perpetual treatment. If there had been a sulfide mine when our constitution was written, operating with today’s technology, we would still be treating it today. Minnesota Pollution Control Agency (MPCA) Director of Strategic Planning Ann Foss, concerning toxic levels at Dunka not meeting State or Federal standards, said: “They are taking steps to bring down the levels of those pollutants, referring to Cliffs Natural Resources.” [Star Tribune] Glaringly, she did not say they would ever be able to meet State or Federal standards. What has been the response to this inability to meet standards? Instead of preserving and protecting our waters from sulfide mining, legislators and mining lobbyists launched an arsenal of tactics in campaigns to lower our state water standards in order to enable the mining companies. Legislators “streamlined” environmental review so public response could be virtually eliminated, ensuring such corporations dictatorial power. Legislators introduced bills to weaken the wild rice sulfate standard in order to allow mining companies carte blanche to damage our lakes, not to mention our health, since higher sulfate levels are inextricably linked to increased mercury levels in the fish we eat. They passed legislation removing the important part of School Trust Lands language that specified, “…with sound natural resource conservation and management principles, and with other specific policy provided in state law,” but retained “to secure the maximum long-term economic return from the school trust lands.” No surprise that 3.5 million acres of school trust lands have mineral rights controlled by the state of Minnesota. Then they passed the Omnibus Environmental Finance bill that would drastically reduce funding and protection for clean water in our state. The first proposed sulfide mine, PolyMet’s NorthMet, has not been permitted yet because it is an accident-waiting-to-happen project. It takes moral backbone to say no to sulfide mining in Minnesota — and our political parties appear to be sorely lacking in spine. Once standards are set for sulfide mining at NorthMet, there is no turning back. The same standards would hold for all subsequent sulfide mines, regardless of location. What happens when dangerous contamination is discovered at permitted mines? Historically companies threaten job loss. What if the state wants to shut a polluting sulfide-mining company down? Companies can sue for the value of the minerals they are not allowed to recover. Minnesota would be held hostage while mining companies cite financial inability to meet standards — while contamination of our waters continued unabated. Professing to care about our waters — truth or pretense? If we value Lake Superior; if we enjoy the lakes connected by the Kawishiwi River — Birch Lake and White Iron Lake, premier Basswood Lake and the Basswood River, the Boundary Waters Canoe Area Wilderness, Voyagers National Park and Rainy Lake — and beyond to Canada’s Quetico, we need to educate ourselves to recognize the decimation of sulfide mining. We are naïve at best if we take our incredible wealth of water for granted and believe nothing can damage it. Tremendous amounts of water and coal-fired, perhaps nuclear, electricity are consumed by sulfide mining. Toxic contaminants would be released to both watersheds and airsheds. Downstream and downwind would have deadly new meaning. One only has to look to Japan to see that in hazardous industry technological miscalculations are inevitable, often with catastrophic consequences. Lest one dismiss nuclear as not an issue here, it must be noted that nuclear waste contaminating the waters of Japan are bio-accumulative — the higher up the food chain the more accumulation — just as sulfide mining waste increases the mercury levels in fish which bio-accumulate in us when we eat them. So Minnesota legislators, in what I hope was mere ignorance, voted to raise the sulfate standard for our waters — which increases the methylation of mercury — so that all of us, particularly our children, could have the opportunity to accumulate even more of it in our tissues. Quite simply, lengthy environmental review correlates with abysmally poor-quality projects — such as PolyMet’s NorthMet project that received the lowest rating possible from the EPA. Lori Fedo, president of the Hibbing Chamber of Commerce, testified that if proposed mining operations had been permitted, a long-time Hibbing business would not have closed. If she was referring to PolyMet, it is questionable that mining operations in Hoyt Lakes would have a significant impact on a grocery store in Hibbing. What is clear is that every time minerals run out, mining companies run out of town — and businesses close in towns where there is little left after mining to attract people. Ely was able to depend on its wealth of waters for recovery; will it now become the next victim of the boom and bust cycle? The 360 jobs last projected for PolyMet would be the equivalent of 10 companies, each hiring 36 employees — 10 sustainable, environmentally sound companies. That would be certainly attainable if Minnesota poured the kind of money into attracting them it has spent on sulfide mining — such as the Iron Range Resources and Rehabilitation Board’s controversial $4 million dollar loan to PolyMet. Divide $4 million by ten. Rather than long-term vision, Gov. Mark Dayton and a majority of our legislators chose to make it even harder to protect our waters by weakening Minnesota’s environmental review process with “streamlining.” They failed to recognize process has never been the problem. The problem is the state’s inability to say no to projects that destruct what defines us. We can choose to build on the greatest assets we have — our “10,000 lakes” — the assets that will sustain generation after generation if we care for them. Our waters do not belong to a state — they belong to the people of a state. Minnesotans have the ability, the opportunity and the responsibility to tell our legislators and our governor to support jobs and businesses that are compatible with our waters. To deliberately choose and shape a vision of Minnesota as a premier state — attracting people to live and work here because we have a wealth of clean water, clean air and an unyielding commitment to keep it that way.